Burdastyle rocks--but how do I use it? So many cute things on Burdastyle! 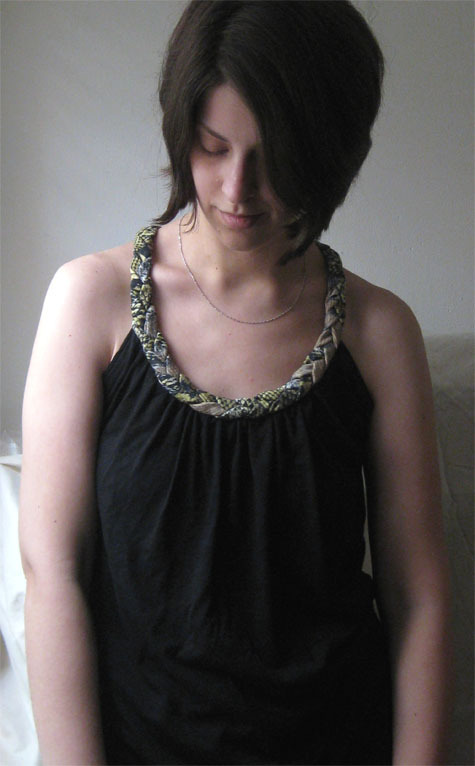 I'm browsing through the free patterns, and there are quite a few I'd like to use! But I'm a little wary of using "patterns" either online or printed out... how does it work? You print pieces to scale and tape them together? Or, just measure carefully as the instructions say? I'm scared. 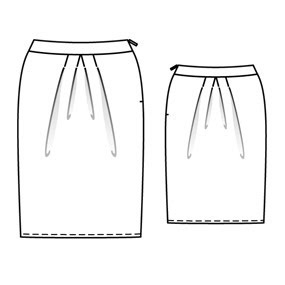 Anyone used a Burdastyle pattern before? There are so many cute ones and cute pics of them all made up... I just LOVE how creative everyone gets and does variations on the patterns, too. I never make patterns exactly as I'm supposed to so I love seeing how well things turn out when other sewers get artsy! I feel like I need to be part of this great movement! Help me out, folks! 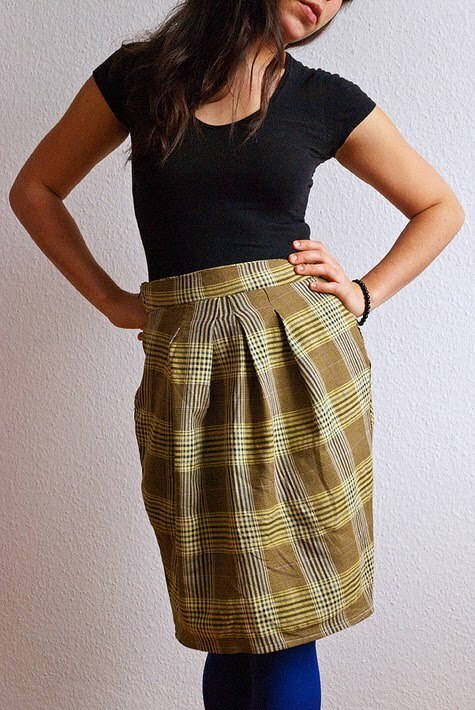 I've made the Marie skirt, it's a good solid easy-to-start-with pattern. I printed out the pages, cut them out, and taped them together, it was easy (as you would expect with a simple skirt like this one, I think). 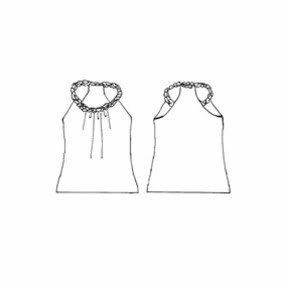 I have looked at other free patterns on BurdaStyle and it's pretty random -- some are contributed by users, and so it depends on the drafting capabilities of the "designer." Also, few of the user-contributed patterns are in more than one size. Even some of the BurdaStyle-crafted patterns would be in my opinion, free for a good reason. Those are WAY cute! I haven't checked out Burday Style in a while, I need to again. 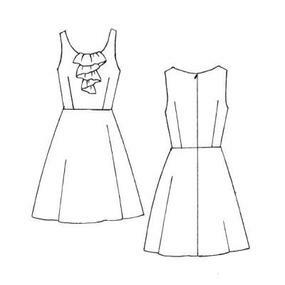 I especially love the dress with the ruffles and the highwaisted skirt with buttons. When you download the pattern click through the pdf file to look for a square, print that page first. Measure the square it is supposed to be exactly 4X4in or 10X10cm. If that is correct you can print out the whole pattern. Once you print all 30 pages or so, the pages have letters and you match up the A with the A and the 2 with the 2 and tape as you go. The pages print with a margin and 2 sides, and they get overlapped. Its kind of freaky at first to print the pattern yourself, but its no too bad. I have made the jenny skirt and the coffee date dress. I also have the pattern for the kasia skirt but haven't made it up yet. some patterns will have the option of printing at a copy shop on one big sheet, but others you print out all the pages and piece them together. you just have to make sure the 4" x 4" square is the correct measurement and then tape all the pieces together. I then trace it onto pattern paper but you could totally skip that step. 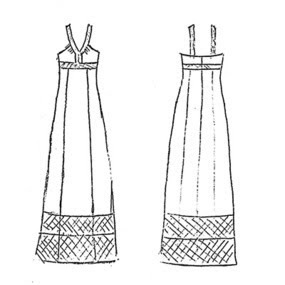 Burdastyle patterns are great but they assume that you already have basic knowledge of many sewing techniques. their instructions are not nearly as explicit as say a vogue pattern is. So not for beginners, but I definitely recommend! 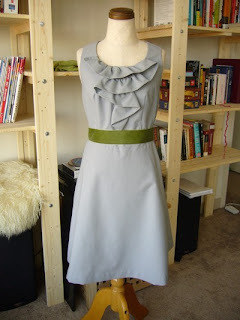 I've been eying the Coffee Date dress for a while now. I love that particular picture with that color combination! I haven't tried any Burda patterns yet though... for the same reason. I have wondered the same things. I love the styles but have not printed one out yet. They mention that you can send it to a printing service, but I was unable to get an estimate on cost from our local printer. It's all an unknown for me. I know that I can print and cut and tape on my printer, but thought it would be easier if I could find a place that could print it full-size. What a great find! I'd never heard of them before. If I can find the time, I might try that Coffee Date dress. Very classy. Burdastyle is the best! You just register. Some patterns cost money but not all. I like it because you can download patterns and keep them forever. If you alter it, you can just reprint them. It is a little bothersome that its on actual paper but it holds up better than pattern paper. Some instructions are a little hard to follow but usually I get the jist. Start with beginner ones (even I know you're better) so you can understand the instructions and move up. I'm making a jacket from one of their patterns right now. I'll post it in a couple of weeks! 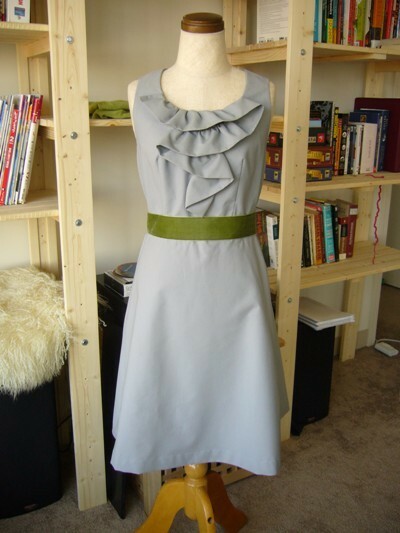 I've done the Kasia skirt and the coffee date dress and had no worries with either! Yes, you print it out to scale and tape it together (kind of annoying, but if you really like the pattern and it's free then it's worth it!) I found the Kasia skirt to be accurate and true to size, but the coffee date dress to be a bit larger than normal sizing. Both are LOVELY, lovely patterns. I'd definitely recommend giving it a try! Thank you sooooo much for your comments and ideas! They are super helpful. 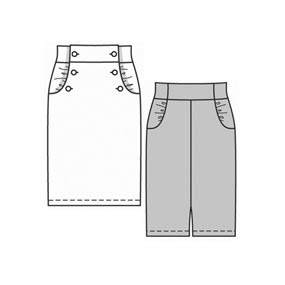 I think I will be brave and make the a skirt first--I'm sure I'll understand the construction of it, so something simple and with only a few pattern pieces is good. Not sure I want to print out 30 pages of something, though...! I'm so happy to hear from some of you who have tried Burdastyle, and so glad I could introduce others of you to it! Burdastyle is nice, although you still have to do some fitting, especially if you're not the typical shape. I'd absolutely go for the coffee date dress. I'd sew along that, have been eyeing it for months. Made the kasia skirt and for an amateur like myself it took me a while to work out the instructions - fine to do once I'd got my head around the crazy amount of waistband pieces (14 or something!). Would recommend something with a little give/stretch for the kasia as it's quite, um, snug. Good luck, looking forward to seeing what you come up with. hing12133 is right. It is imperative to check the test square first. You need to see if the pattern is supposed to be printed with borders or without and what percentage. The one I tried was designed to print on a European spec document which I could select in the options menu on my printer. I printed a whole lot of test squares before I got it right but that was better than re-printing 30 sheets. Also, after taping them all together you can trace over them with tissue paper or Pellon so that you have a more transparent pattern piece.